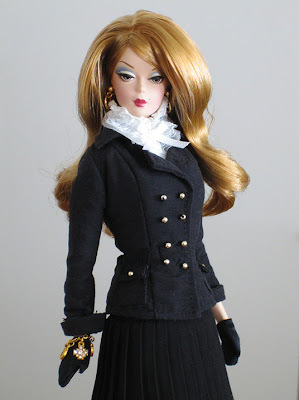 Say hello to a more vivacious looking Pretty in Pleats silkstone Barbie in a Dressmaker Details gold sheath. 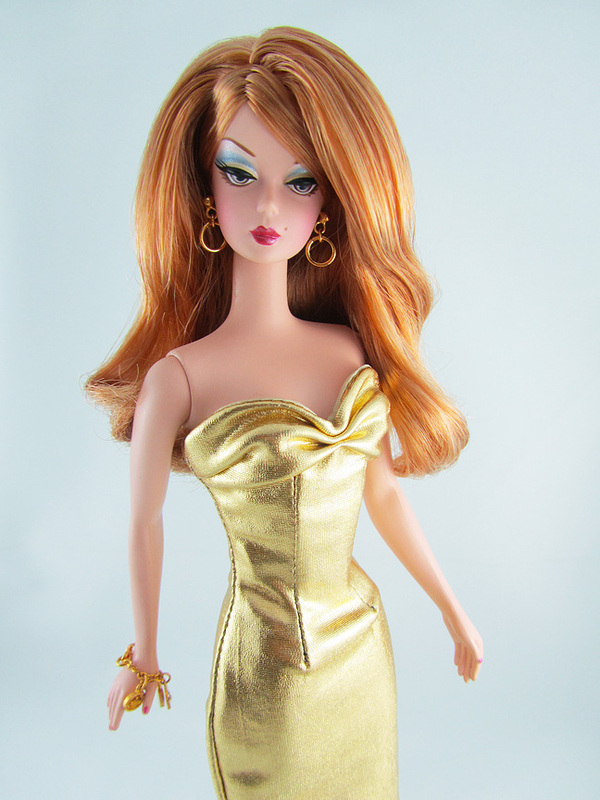 Who would have thought that a simple dress sheath in gold could bring such vitality to an originally more conservative looking doll? While I love the chic, very polished look that made me get her in the first place, sometimes a girl's just gotta sparkle....And what better color to use for a shinier purpose than gold!